Will he take the Mao option or the Soros route? India, and the world, are watching. US President Barack Obama has come and gone. To ensure that a deepening US-India friendship is not viewed as too ominous by China, India’s external affairs minister went to Beijing soon after Obama left, and Prime Minister Narendra Modi’s China visit in May has already been announced. Which other nations might require attention next? Let me suggest that Russia calls for creative thinking. The key question is: can India be simultaneously close to Washington, a new friend, and Moscow, an old friend and still a source of arms and, potentially, a lot of energy, a great Indian necessity? How exactly India should approach Moscow requires an understanding of what is happening in Russia of late, where it might be headed next, and how the West would react. Two weeks back, I returned from a visit to Moscow. I was there for the Gaidar Forum, an annual event that brings together political leaders, bureaucrats, academics, journalists and businessmen, and provides a good sense of the political and economic pulse of the country. This year’s theme was “Russia and the world”. Russian Prime Minister Dmitry Medvedev spoke on Russia’s economic troubles. Several other ministers represented their portfolios. For three intense days, a whole variety of topics was discussed. 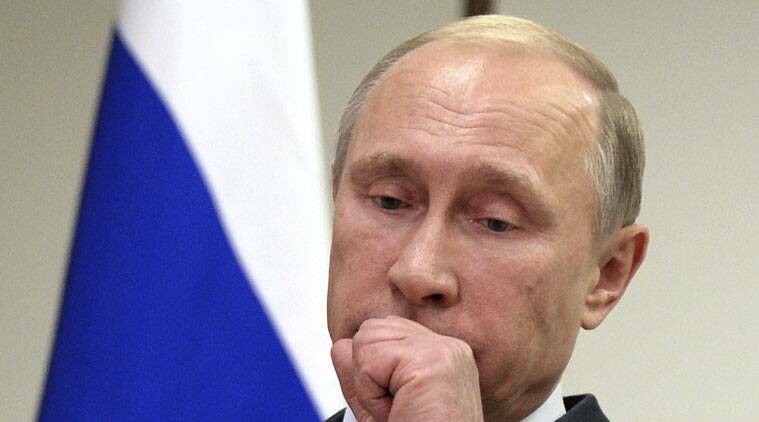 An economic crisis is rapidly unfolding in Russia. Western sanctions against the country — for its annexation of Crimea and role in Ukraine — are beginning to hurt, more so than anyone had anticipated. The sanctions were aimed at denying some Russian companies and banks access to international capital markets. They were designed to hurt the elite, especially, if not only, those allied with Russian President Vladimir Putin. But a dramatic fall in oil prices has deepened the crisis. The economic pain now is beginning to engulf the masses. The 2015 budget was based on the assumption that oil prices would be $100 a barrel. But oil prices have halved, with little prospect of climbing back substantially. Accepting that Russia will have to learn to live with lower oil prices, Medvedev argued that macroeconomic stability was not the main problem. Russia’s deeper malaise was structural, which in turn had two aspects: over reliance on natural commodities like oil and gas, and lack of economic productivity and competitiveness. With the exception of oil’s special role in Russia’s economy, Medvedev’s argument is not different from how Manmohan Singh, as finance minister, had analysed India’s crisis in 1991. He also drew a distinction between the structural and macroeconomic issues, and suggested that more than getting macroeconomic adjustments such as the budgetary and current account balances right, India had to pursue structural, market-oriented reforms, which would make firms, and the economy, more competitive. India recovered from its 1991 crisis, entering a long period of growth. Can Russia do the same? A purely economic analysis can’t answer this question. Arguments about politics and national security will have to be carefully considered. The Ukraine crisis is especially critical. Many years ago, Samuel Huntington had called Ukraine a classic “cleft state”. Such states are torn between two divergent cultural foundations. By Huntington’s logic, the Ukrainian civil war is basically a violent contestation over whether it belongs to the West or to Russia. In such civil wars, outside powers inevitably get drawn in and the internal morphs into the external. In The New York Review of Books, George Soros recently argued that if the West provided substantially greater help to the Ukrainian government, Putin would see the writing on the wall and compromise. The optimism of Soros had few takers at the Gaidar Forum. In the final panel, experts were asked to predict how the civil war would evolve. With no exceptions, all predicted an escalation. Timothy Colton, a leading scholar of Russian politics and a participant in the final panel, even believes that “escalation runs the risk of the pro-Russian forces and, indirectly, Russia itself suffering a defeat”. Russia already supports Eastern Ukrainian rebels. Greater Russian involvement, whatever its precise manifestations, would only lead to more comprehensive Western sanctions. No one was talking openly of a new Cold War, but pessimism about the future was all too evident. Soros is betting on Putin’s rationality in view of the deepening economic and political malaise; these experts were predicting the opposite. A week after the Gaidar Forum, some evidence for their claim emerged in Davos, where Russian Deputy Prime Minister Igor Shuvalov said that Russia “would eat less food, use less electricity”, but would unite behind Putin in a time of crisis. This is a classic nationalist stance. Nationalists hate economic compromise, always placing national pride on a higher pedestal. Economics is too annoyingly prosaic for them. What, then, are the likely next moves of Putin? This is a classic question of international politics: do leaders compromise externally to deal with internal crises, or do they seek internal mass legitimacy in such situations by engaging in war? In China, as the Great Leap Forward began to falter in the early 1960s, Mao Zedong turned to a Sino-Indian war to avoid a further domestic plunge. Roderick MacFarquhar, a foremost authority on Chinese elite politics, has long made this argument. Putin is immensely popular but the Gaidar panelists argued that his popularity could not possibly rise any higher. It would, in other words, only go down, which can make the Mao option more attractive than the Soros option. With a GDP of over $2 trillion, Russia is an important actor in the world economy. Its army is among the strongest in the world. It still has a huge nuclear arsenal. If a new Cold War-like situation does emerge, the world will be an infinitely worse place. One can only hope that the Ukraine crisis does not escalate further. If it does, said Obama in Delhi, the economic costs for Russia will go up further and sanctions will be more comprehensive. For India, this scenario can present serious foreign policy difficulties. It may then not be easy to expand energy and arms trade links with Russia, as is currently planned. India will need extraordinary diplomatic skills and a lot of luck.